Time Life in conjunction with the Country Music Association is proud to announce the upcoming release of CMA Awards Live: Greatest Moments 1968-2015, an extensive 10-DVD set of many of Country’s musical moments that have made history over the years. Time Life will begin taking pre-orders Wednesday, Oct. 11, with a 30-minute infomercial promoting the package airing throughout the fourth quarter of 2017. 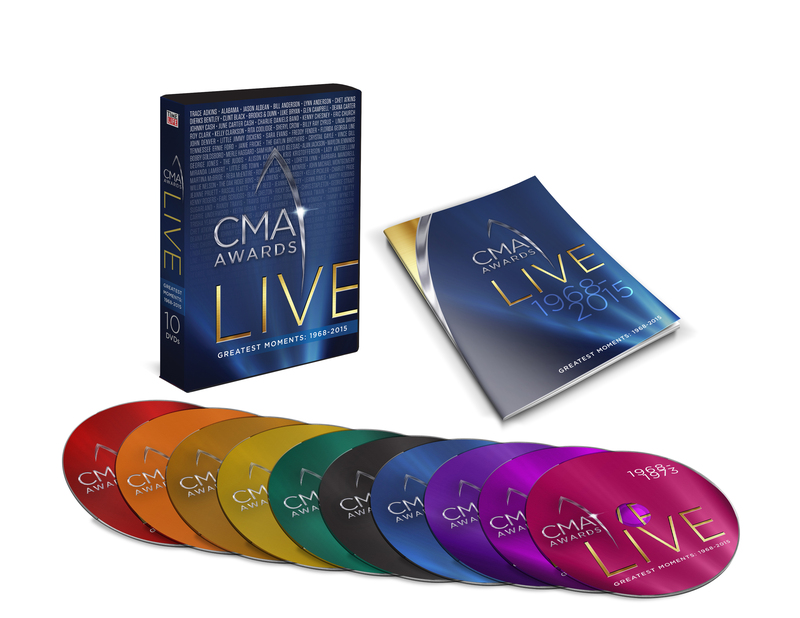 CMA Awards Live will be officially released to retail early next year. • Dolly Parton and Kenny Roger’s riveting performance of “Islands In The Stream,” which opened up the 1983 telecast – the same year that the song topped the Country and Pop charts throughout the world.